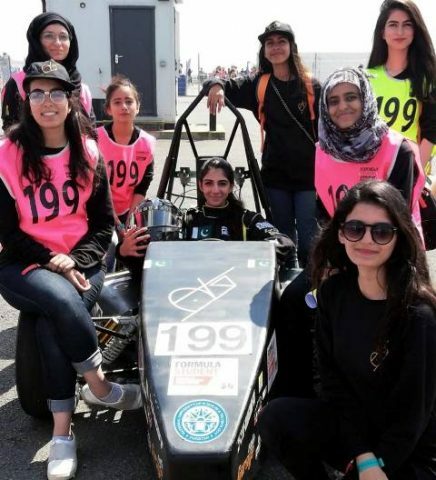 Team AUJ of the National University of Sciences and Technology, which is the first all-female team to take part in the Formula Student competition, was specially recognised at the event. 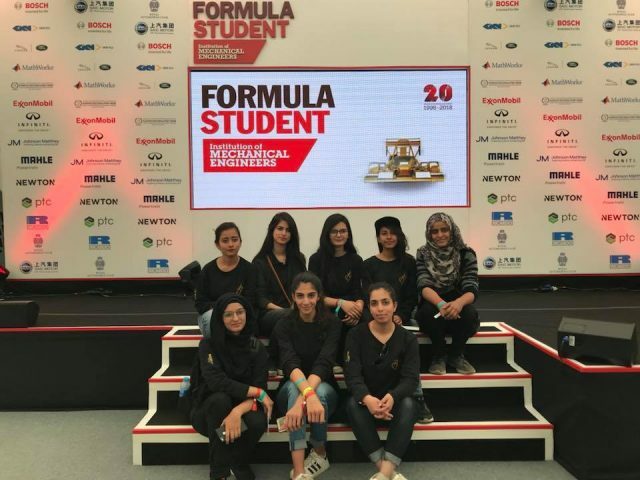 The team, comprising Aatrah Rauf Shaikh, Harim Akhtar, Azka Athar, Fatima Sohail, Cybil Braganza, Zoiba Noor, Wardah Jamal, Laiba Rodyna, Syeda Al Aima Zahra and Sabah Zaman, was honored with the Spirit of Formula Student Award. They received a standing ovation during the award ceremony. The team finished at 73rd position in the race car design competition. 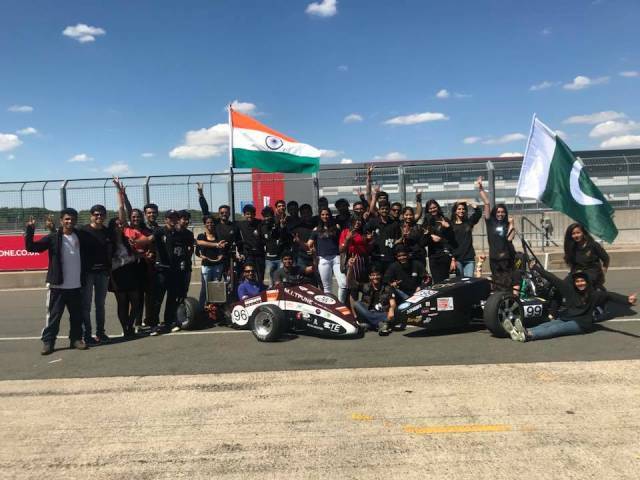 Monash University from Australia won the first prize in the competition while Oxford Brookes University and Monash University (EV) came third.